Jan. 18, 2019 - In another frantic reaction to the growing influence of the PMOI/MEK inside Iran and abroad, a state-run Iranian news outlet claimed NCRI president Maryam Rajavi has traveled to Kabul, Afghanistan, along with an American delegation in order to examine the construction of a military base for the PMOI/MEK along the eastern borders of Iran.  Javan Press Club, affiliated with the Basij paramilitary force, made the claim and added that the U.S. administration has forced the government of Kabul to accept the members of MEK on its soil. This latest claim comes as the newest installment in a series of fake news being published by the Iranian regime’s media and disseminated by its officials, a reflection of Tehran's fear of its overthrow at the hands of the Iranian people and their popular resistance movement. Earlier this week, Tasnim, a news website run by the terrorist Quds Force, claimed that the U.S. was exploring the option of returning MEK members to Iraq, where the organization had been based for more than two decades before being located to Albania in 2016. More recently, regime officials authorities claimed that the MEK was behind the upcoming conference in Warsaw, Poland, in which officials from U.S. and other countries will be discussing countering the destructive role of the Iranian regime in the Middle East. In this latest chapter of frantic thrashing of Iranian regime officials and media outlets, Javan, which published the made up news of Maryam Rajavi’s trip to Afghanistan, writes, “The goal of this trip is to create military bases for this terrorist group near the eastern borders of Iran with the help of the U.S. In the coming days, Maryam Rajavi will be visiting the Shindid region of Herat. First, they will be building a military base and a number of [MEK] troop who had been previously transferred to this region from Baghdad will occupy a part of an American base. “As part of its measures against [the Iranian regime], the Trump administration is planning to increase its aid to the [MEK] and build military bases for this group in the neighboring country. In this regard, there has been discussion with the leaders of Iraq and Afghanistan. [MEK] will use these bases to infiltrate into Iran and stage sabotage and destructive operations.